For this month's sketch outing in Edmonds, Steve and I walked around for a good 20 minutes before finding our spots. On the short walk around the little downtown and waterfront areas it was fun to see sketchers all around town. This storefront caught my eye on the walk down to the ferry so after the initial scan, I ended up back here while Steve sketched the phone booth across the street. I set my chair up in the street between two parked cars to get the view I wanted which made for a four or five interruptions when I had to move when the owners of the cars on both sides of me came and went and new cars came to park, both times with clients of the salon. While sketching I could hear the stylist ask the clients, "So what would you like today?" 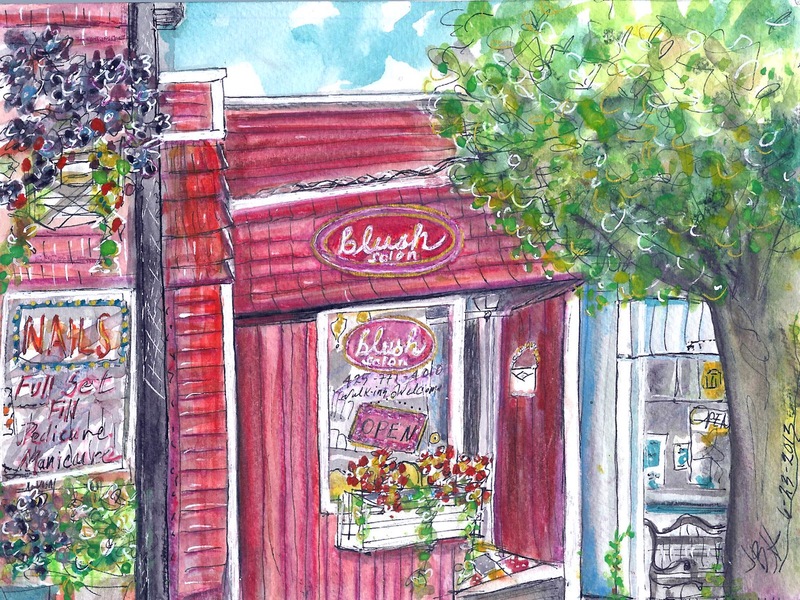 A pretty little shop (Blush Salon: http://blushsalonedmonds.com/) in a sweet little town on a nice NW day with the smell of sea salt and intermittent sun and sprinkles. This is a nice bright sketch that matches the enthusiasm of the beautician when she saw your drawing and gave you her card and info. It was a fun morning. 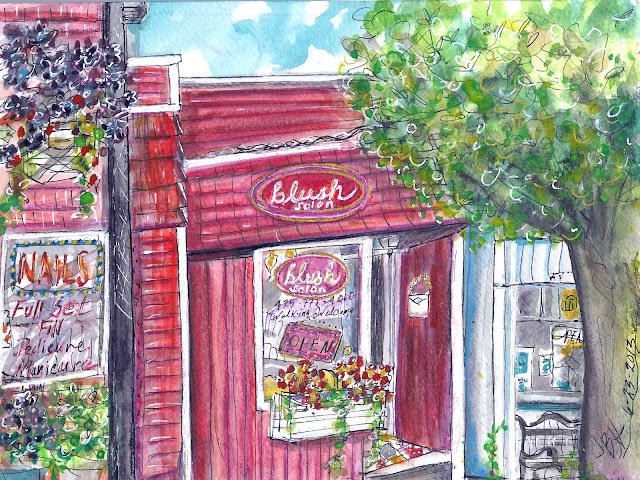 This sketch just sparkles like the foil wraps I saw on a customer in this shop as I walked by you painting this scene. I was sitting just up the sidewalk sketching the barber shop, impressed that you parked yourself safely between cars!